Beginner’s Mind is a phrase from Japanese Zen teacher Shunryu Suzuki’s book, Zen Mind, Beginner’s Mind. He uses it to describe an approach to life that is empty of preconceptions and fearful thinking, yet very mindful. The Chinese philosopher Lao Tsu shared a similar conception of emptiness, in verse 11 of the Tao Te Ching, describing structured spaces which invite participation as being very useful. In Zen Flesh, Zen Bones (by Paul Rep) there is a section entitled 101 Zen Stories. 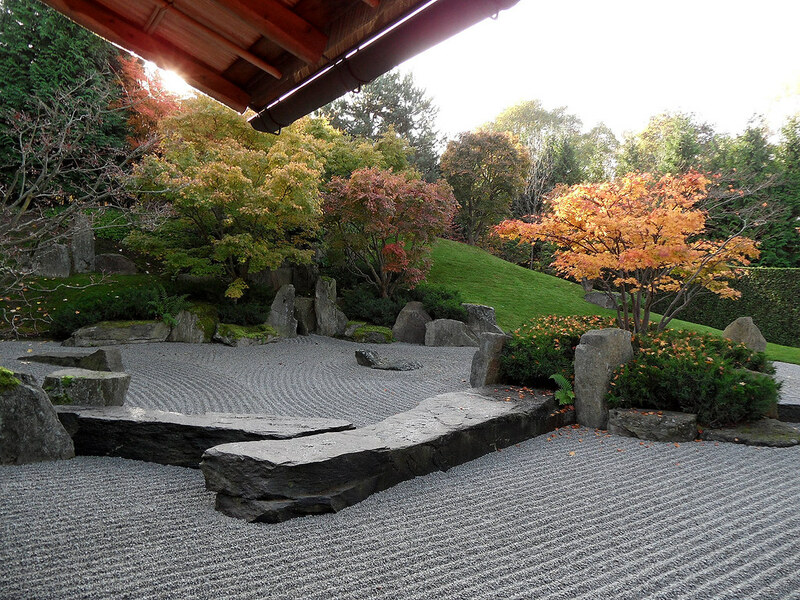 Here a tale is told of a Japanese University professor who visits a Zen master. He says he wants to learn about Zen, but he arrives with an attitude of superiority. The master pours tea into his cup and does not stop so that it begins to overflow. Even now, a beginner’s mind is very much a part of traditional arts training in Japan. The idea of mu (無) or mushin (無 心) is commonly taught to students. It is often translated as “not, nothing” or “no mind” but it’s closer to openness of awareness in meaning. Students are encouraged to be attentive and mindful, carefully observant of the present moment. A core idea with Zen influenced arts is that deep mastery and learning requires that we keep all our senses open. Over time one’s knowledge becomes intuitive, instinctual. We do not have to “think “ consciously to act skillfully. Zen teaches that living in this way is not difficult, but modern “civilized” people make it hard for themselves, and their children. Educational systems (both in the West and in Asia) put great emphasis on competition, status and ranking, requiring the memorization and testing of knowledge. The goal of modern schooling is for students to memorize vast amounts of information, to do better than others on tests, so that one can get higher grades, get into the “best” college, attain a high paying job. This “training” (that most of us have received) keeps our minds focused on knowledge storage, future goals and how we compare with others in the present. Living and learning this way has created a world where a rat race mentality dominates. Where many “well educated” people’s minds are crammed with disconnected bits of knowledge (about math, physics, history, etc.) that we never developed the ability to apply in meaningful ways. In recent decades, Western psychologists have described some of these dynamics. Carol Dweck talks about a growth vs fixed mindset. A growth mindset is open and curious, the person understands what they are studying and is continuously learning, updating their knowledge and skills. We do not compare ourselves with others and see learning as a lifelong process. Psychologist Mihalyi Csikszentmihalyi describes this approach to life and learning as flow, the psychology of optimal experience. With our minds open to the present moment we experience a sense of unity and intimate relationship with our current situation and context. Numerous athletes, artists and musicians have described their most satisfying experiences in this way, as being in “the zone,” where a sense of self drops away and we feel a deep connection with the present moment. Skillful actions happen of themselves, intuitively, without willful thought or direction. When playing sports or music thoughts of future outcomes or failure can trigger powerful emotions that distract our awareness. It is only by paying full attention to what is happening NOW that we can respond mindfully and effectively to current conditions, and deeply connect with the present moment we inhabit. Over time we begin to discover our live’s purpose, what Japanese call ikegai (生き甲斐), a core sense of meaningfulness for our existence. Ikegai is about developing our many unique gifts so that we can share these with the world. Finding our live’s purpose brings joy to us and benefit to others. We are at all times connected to the Cosmos in ways that mundane concerns distract us from seeing. Alan Watts has described how we are each like waves of a larger ocean, creative expressions of the Universe we inhabit. While this is not difficult to comprehend conceptually, it can be challenging for “civilized” people to experience directly and frequently. Not buying into the rat race mentality of modern cultures is an essential first step. Training mindfully in an art form or sport, learning to meditate or do yoga, will provide us with a system of practice that assists greatly. As we learn to meet the world like an empty cup, we allow inner and outer realms of our lives to flow together. Where there had been separation before, now there is greater unity. Vietnamese Zen teacher Thich Nhat Hanh describes this as a deepening awareness of inter-being, the fundamental unity and interconnectedness of the Cosmos. In a flower exists water from clouds, energy from the sun, molecules from the earth, atoms created billions of years ago within stars. By letting go of distracting thoughts and emotions throughout the day, we create space for the world to move through us, be a part of us. This letting go allows for a deeper experience of inter-being, our intimate connectedness with everything. Over time, connecting and letting go, like breathing, becomes second nature for us. Not seeking far off goals that the modern world considers to be important, we discover that everything we need is already here. We just need to cultivate inner space and connect to it. Maintaining a beginner’s mind helps us to experience flow in our activities, joy in our relationships and growth as human beings. Like the lead characters in the films Groundhog Day and About Time, we start to discover deep meaning in every single precious moment. Over time, as we practice seeing and living in this way, everything we do can be experienced as an art form to be mastered, every interaction with others becomes a potential source of joy, gratitude, peace, love and beauty. We will never find happiness in far off places or goals that we imagine. The way to happiness is to realize deeply, that each moment of life, each friendship, is sacred. Each step of our journey we have already arrived, we have always been home. by the touch of this world of life. dancing in my blood this moment. When “Zen Pencils” cartoonist Gavin Than asked fans to vote for their favorite poem to be turned into a comic strip, they chose “Desiderata”, the widely popular poem written by Max Ehrmann in 1927, whose title in Latin translates to “things to be desired”. The poem has been described as a survival guide for life. Than’s illustrations bring these celebrated words alive in a unique way. This above cartoon strip originally appeared on Zen Pencils and is reprinted here with permission from artist Gavin Aung Than. Gavin is a freelance cartoonist based in Melbourne, Australia. After working in the corporate graphic design industry for 8 years he quit to focus on his true passion, drawing cartoons. Gavin launched Zen Pencils at the start of 2012, a cartoon blog which adapts inspirational quotes into comic stories, and hasn’t looked back since.